I got my nail technology license in 1998, fresh out of high school. I struggled over the years to make working in the salon my only job. I went back to school in 2011 to get my bachelor’s degree in criminal justice. At that time, I left my 9-to-5 job and went back into the salon, since it allowed me to have the flexibility to go to school full time. I graduated in 2014 and decided to continue moving forward with my nail career. In July 2015 I was accepted into an educator training that was put on by Hand and Nail Harmony. I love being an educator. In November 2016 I was diagnosed with stage 1 ovarian cancer. I had major surgery and six rounds of chemotherapy. I had treatment every three weeks — I’d work for two weeks and take one week off. It was a really tough eight months. In April 2019 I will be two years post-chemo and I’m currently cancer-free. How did you first get into horseback riding? My parents got me horseback riding lessons when I was in fifth grade as a Christmas present. I was instantly hooked! I took a variety of lesson styles until I was a sophomore in high school. I got back into horses when I was about 25. How do you make time for horseback riding? I work four days a week. On at least two of my days off, I’m either out riding or at the barn. During the summer, I will take a few Saturdays off so I can go horse camping with friends. 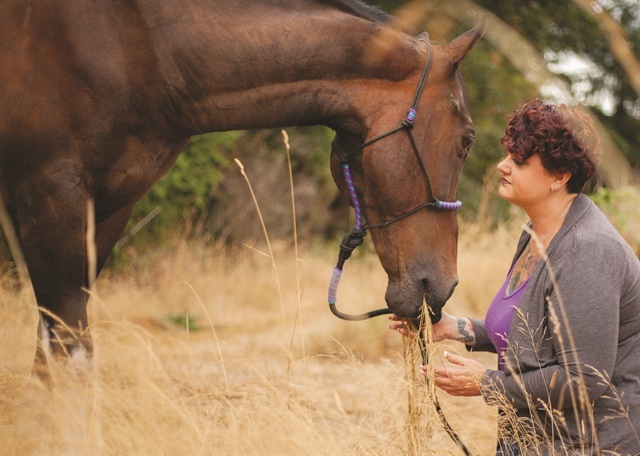 How does horseback riding help your health? Spending time at the barn or out riding brings me into the moment. I become completely focused on what is happening directly in front of me, which allows me to forget about the outside world for a bit. It can be very dangerous to be distracted, especially while out riding. 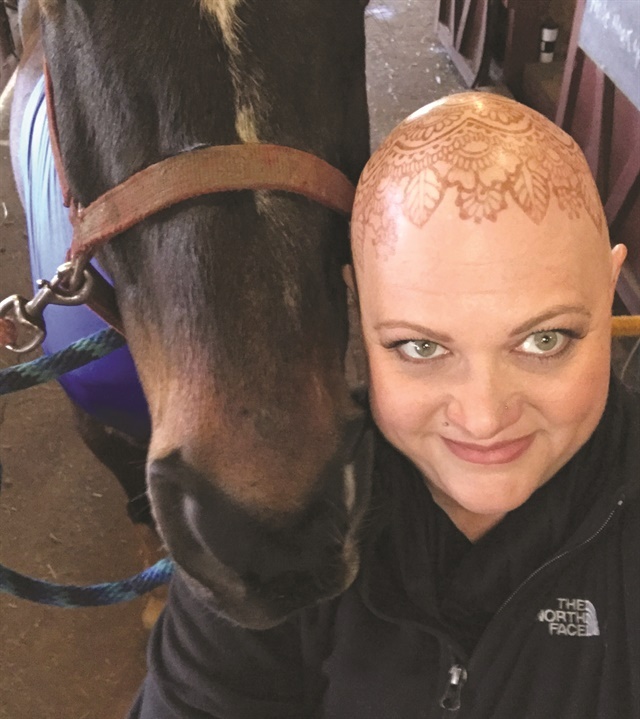 During chemo, spending time with my horse was the only place I could go and not feel like a cancer patient. Even now, I use that time to clear my mind, especially when I’m struggling with stress. Do you have any advice for nail techs going through a difficult health situation? Don’t be afraid to ask for help. Be very clear and honest with your clients; you might be surprised how accommodating they’ll be. Also, find your happy place. Whether it’s the barn, ocean, mountains, the gym, etc., it will help you get through anything and everything.